I originally posted this last year, and while I’m not actively writing new material for the time being, I thought it important that we Christians consider why it is appropriate to mourn, alongside the Jewish people, the loss of the Holy Temple in Jerusalem. This year. 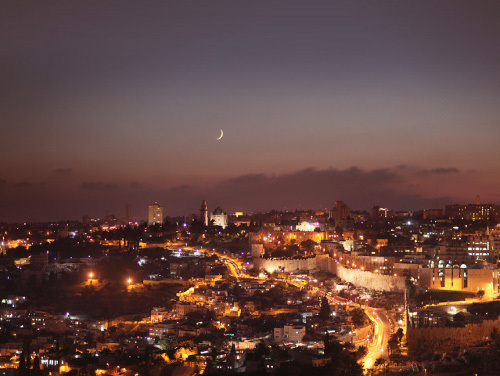 Tisha b’Av begins on Saturday at sunset and ends at sunset on Sunday. …Should I weep in the fifth month [Av], separating myself, as I have done these so many years? Tisha B’Av, the Fast of the Ninth of Av, is a day of mourning to commemorate the many tragedies that have befallen the Jewish people, many of which have occurred on the ninth of Av. Tisha B’Av means “the ninth (day) of Av.” It occurs in July or August. Hebrews 10:10-18 presents the death of Yeshua of Nazareth as the “single sacrifice for sin,” but does that make Yeshua a sin offering like those once offered in the Temple? In what sense is Yeshua a sacrifice? How can he be a sacrifice when his death does not accord with the Levitical laws for the sacrificial services whatsoever? This teaching, based upon the final chapter of D. Thomas Lancaster’s booklet What about the Sacrifices? answers the difficult question of how the death of the Messiah provides atonement for sin. In today’s sermon, Lancaster continues to build on the points he made in previous weeks, including last week’s sermon in which he strongly differentiated between the nature, character, and purpose of the Temple sacrifices and the Levitical priesthood, and the purpose of Jesus as the single and final sacrifice for sin in the Heavenly Temple. Now he specifically takes on a really big issue that even many Christians struggle with: just how does the sacrifice of Jesus on the cross take away sins and why doesn’t that mean God approves of human sacrifice? Condition 1: An acceptable sacrifice must be an unblemished, undamaged, uninjured kosher animal, and usually a specific animal or set of animals relative to the particular sacrifice. Jesus wasn’t an animal of any kind, he was a man, and he certainly wasn’t unblemished or uninjured, having been whipped and bloodied before ever being nailed to the cross. 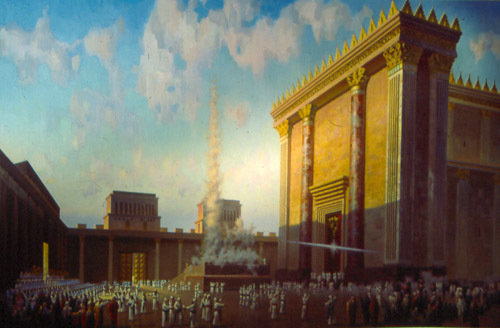 Condition 2: Any sacrifice must be made in the Temple, according to the Torah. Jesus was executed outside the walls of Jerusalem, not in the Temple. Condition 3: The blood of the sacrifice must be splashed on the altar. This did not happen with the blood of Jesus. Condition 4: The sacrifice must be performed by Levitical priests. Jesus was killed by people who weren’t even Jewish, the Romans. Condition 5: The sacrifice must be slaughtered in a highly specific manner, with the throat cut by a very sharp knife. The animal must be bled out and suffer no pain whatsoever. If it suffers, it is disqualified as a sacrifice. Jesus certainly did suffer and suffer greatly, and no knife came anywhere near his throat. Condition 6: God forbids human sacrifice and finds it repugnant. All this means that Jesus absolutely, positively could not be a literal sacrifice for the atonement for sin and guilt. Lancaster brought up the obvious objection of the Akedah or the Binding of Isaac (Genesis 22:1-19) but the flaw here is that God did not allow Abraham to actually kill Isaac. It was a test, not a human sacrifice. This is the problem with Christianity reading from the Gospels and Epistles backward into the Torah, the Prophets, and the Writings. If you start with a New Testament mental and interpretive template, it forces standard Christian doctrine into the Old Testament text. Unfortunately, this results in erroneous conclusions based on Christian tradition. So if the blood of goats and sheep never, ever took away sins in the first place, and Jesus can’t in any sense be considered an acceptable sacrifice, how does his death take away sin? Are the anti-missionaries and apostates right? Is Christianity a crock? After that single act, Jesus waited and still waits. Every priest stands daily ministering and offering time after time the same sacrifices, which can never take away sins; but He, having offered one sacrifice for sins for all time, sat down at the right hand of God, waiting from that time onward until His enemies be made a footstool for His feet. On Earth, the Levites had to daily minister in the Temple, but the Temple sacrifices in Jerusalem were never designed to take away sins, but instead, to cleanse the bodies of those desiring to draw near to the Divine Presence physically (Hebrews 9:13). The sacrifice of Jesus was qualitatively different in that it enables people to draw near to God spiritually (Hebrews 9:14). But now that the single sacrifice of Jesus has been made, he need offer no other sacrifices in the Heavenly realm, but waits seated at the right hand of the Father for the final battle to begin, when his and Israel’s enemies will be laid at his feet. Verses 14-18 cite the New Covenant, specifically how God will write His Torah on the hearts and minds of the people of Israel and he will cleanse them of sin forevermore. In fact, verse 12 says for all time,” which Lancaster interprets as from the beginning of human history and the sin of Adam and Havah (Eve) to the end. So the blood and death of Jesus cleanses you and me of our sins two-thousand years after he was slain, and cleanses Abraham of his sins two-thousand years before the crucifixion, even though Jesus was executed at a single point in time, the early First Century CE. I’ll get back to this in a bit. The hearers and readers of the teachings of the Bible, that is, the ancient Jewish people, received these teachings within a certain conceptual context. 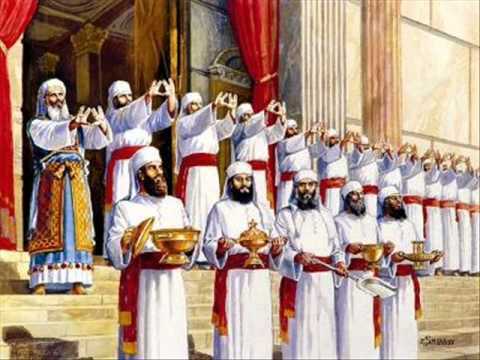 They understood the Hebraic metaphors, symbolism, and wordplay being employed by the Prophets and the Sages of each time period in which the Biblical text was authored. 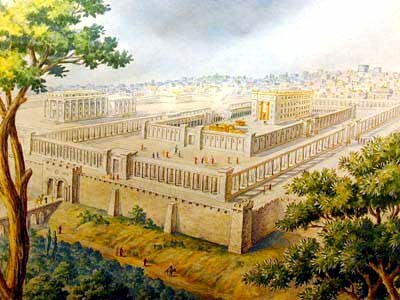 As Christians almost twenty centuries later, we can make the mistake of either allegorizing the Bible, rendering God’s promises to Israel as “really meaning” promises to “the Church,” or we can be overly literal and attempt to directly compare the sacrifice of a sheep on the altar in the Temple in Jerusalem on Passover with the execution of a late Second Temple itinerant Rabbi, and one who ultimately was proven to be Moshiach, by a bunch of Roman soldiers at the command of the local Roman governor. So if Jesus wasn’t a literal sacrifice, and comparing him to a lamb and the spilling of his blood to the splashing of the blood of lambs on the altar is metaphor, how does his sacrifice work? The answer isn’t very obvious in the Bible, which tends to throw a lot of people, but it has to do with God’s quality of absolute justice and something called “measure for measure.” That is, the righteous are rewarded and the wicked are punished. Death is not the end. If it were, then our world, and God, is unjust. Justice is delivered in the resurrection when the righteous and the wicked are judged before God, with the righteous being rewarded and the wicked being condemned. The righteous may suffer in this world, and even suffer horribly, but they will be rewarded in the Messianic Kingdom and the life in the world to come. Of course, even the best among us isn’t completely sinless. Even Lancaster admitted to having committed acts of which he is still ashamed and probably will be for the rest of his life. It can be said that we suffer in this world, at least in part, as a consequence of our own imperfections and our own sins, and thus, when we die, it can be said that our death is just because we have sinned. Even Paul said “the wages of sin is death” (Romans 6:23). But what if a totally and completely sinless person should die unjustly? 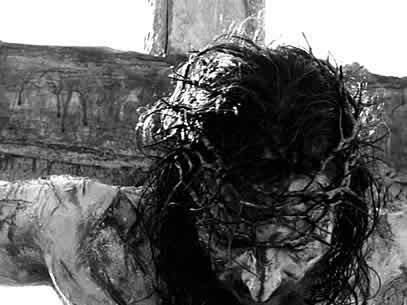 If he’s not suffering and dying in his own sins, when why is he suffering and dying at all? Another explanation of AND THOU SHALT MAKE THE BOARDS FOR THE TABERNACLE. Why does it say FOR THE TABERNACLE? Should it not rather have said ‘ into a tabernacle ? R. Hoshaya said: Because the sanctuary stands as a pledge, so that if the enemies of Israel became deserving of destruction, it would be forfeit as a pledge. 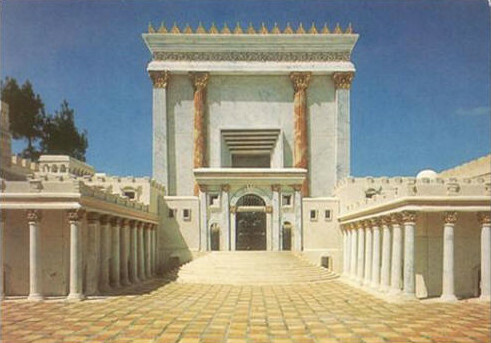 Moses said to God: Will not the time come when Israel shall have neither Tabernacle nor Temple? What will happen with them then? ‘ The divine reply was: ‘ I will then take one of their righteous men and retain him as a pledge on their behalf, in order that I may pardon all their sins. Thus too it says, And He hath slain all that were pleasant to the eye (Lam. II, 4). Although the traditional Jewish interpretation of these verses render the suffering servant as Israel, I have to agree with the Christian view in this case, and say that the Prophet is writing about Messiah, who as an individual person and who was completely without sin, suffered and died to justify the many. To extend the thought, if a tzaddik or righteous one among the sages may die and atone for the sins of his generation, how much more so can death of the great tzaddik, the most righteous one, who was completely without sin, take away the sins of all peoples in all generations across the vast span of time. Thus, the death of Jesus is effective to take away the sins of the world, but not because it was based on the sacrificial system that took place in the Temple as commanded by the Torah of Moses. 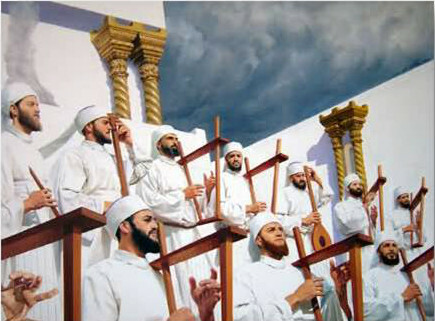 It was effective based on God’s justice and the principle of “measure for measure.” If the completely sinless Jesus died an unjust death, to balance justice, since he did not die for his own sins, in the merit of his death, his blood atones for the sins, not just of many in a single generation, but of all people across all generations. This also means that any comparison or “competition” between the sacrifice of Jesus and the sacrificial system of the Temple is like comparing apples and airplanes. The one has nothing to do with the other. 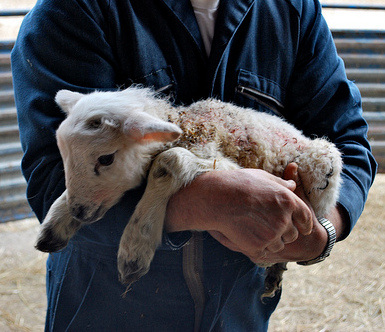 The writer of the Epistle to the Hebrews was employing metaphor so he could get his point across, not saying Jesus was a literal lamb, or a literal sin offering. This is like saying Jesus is a Priest of the Order of Melchizedek. Jesus didn’t really establish and belong to this “order” of priests (and he certainly wasn’t literally Melchizedek). 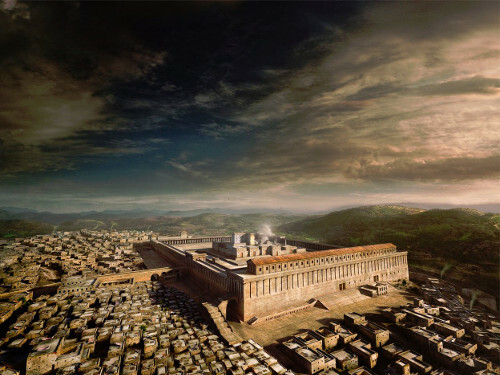 The Hebrews writer was using metaphorical language to say how Jesus could be High Priest in the Heavenly Court, even though he can’t and won’t qualify to be a Priest of any kind in the Earthly Temple (including the future Temple) in Jerusalem. The biggest thing for me was nailing down the “time span” within which the sacrifice of Jesus atoned for sins. 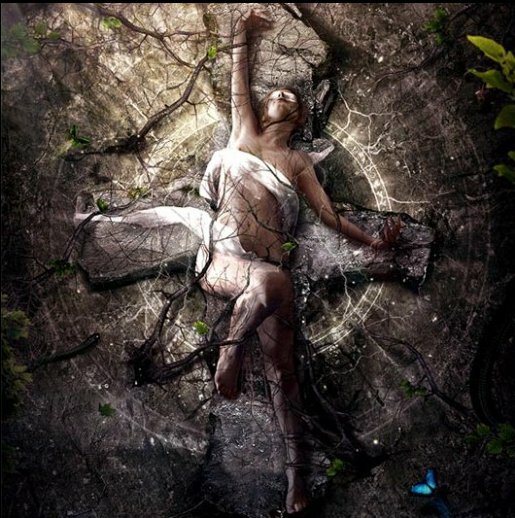 Lancaster says that metaphysically, it covered all sins across human history, from Adam and Eve in the Garden, to the very end of the age including our age and beyond. This seems to answer the question, “are the Old Testament Jews saved?” The answer is “yes” if they sincerely repented of their sins. Like David’s lament in Psalm 51, it wasn’t the sacrifices of bulls, goats, and sheep that atoned for his willful sin with Bathsheva, it was repentance and a broken heart. Lancaster didn’t address this, but it brings up the question of a Jewish person and if he/she must believe in Jesus in order to be saved. A Christian would say “yes,” and further, a Christian (at least some of them) would say that only Jews who believed in Jesus after the crucifixion were saved, since no one comes to the Father except through the Son (John 14:6). However, if that is literally true, than all of the Jewish people who were born, lived, and died before Jesus (and the rest of humanity as well) were automatically condemned to eternal damnation. But that violates the language of the New Covenant promises as well as Romans 11 and Hebrews 10. 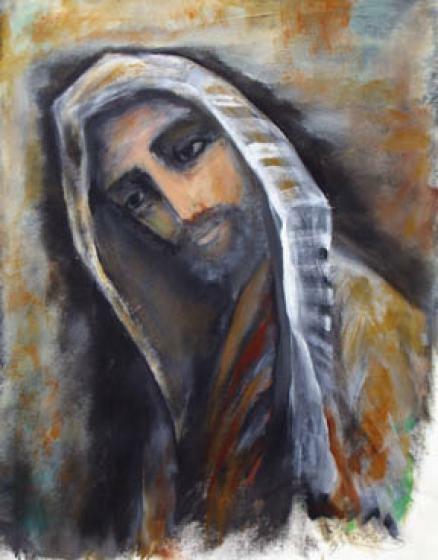 While I don’t understand it completely, the Jewish people, not just in the age when Jesus returns, but across time, will “mourn for him as one mourns for an only son” (Zechariah 12:10). These conclusions won’t sit well with most Christians (and most Jews, since Lancaster will be accused of playing “fast and loose” with the Talmudic texts), especially the Bible literalists, but they have the benefit of making the older scriptures harmonize rather than drastically conflict with the Apostolic Scriptures. If we are to consider the Bible as a single, unified document describing God’s overarching redemptive plan for Israel, and through her, for the rest of the world, then we can’t have that plan jarringly switch tracks somewhere between the end of the Gospels and the beginning of Luke’s Acts of the Apostles. If the Bible doesn’t appear to have a seemless flow that preserves God’s promises and integrity, and avoids making Him a liar by pulling the biggest “bait and switch” with Israel the world has ever seen, then the problem isn’t with the Bible, it’s with how the Bible is interpreted. 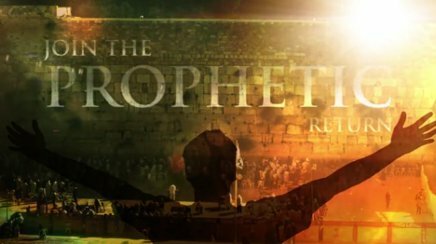 The consequence of the New Covenant promises to Israel is just that. 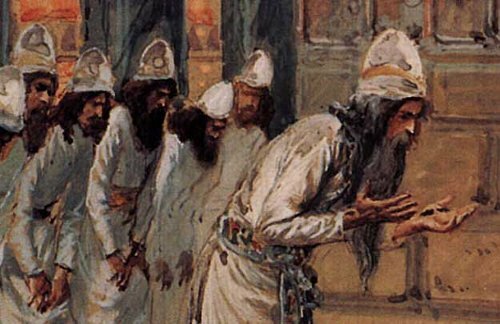 On the merit of the death of the great tzaddik Yeshua who is the mediator of that covenant, God remembers the sins of Israel no more and writes His Torah within them so they will never sin again (but see last week’s review for why sin offerings will continue, even in the absence of people sinning). From that time on, with all sins forgiven, there will no longer be any offering for sin, for there will be no need for Israel to make sin offerings. They have drawn near to their God in Spirit and in truth. May it be so for all of us who believe and make teshuvah before Hashem by the merit of Moshiach. 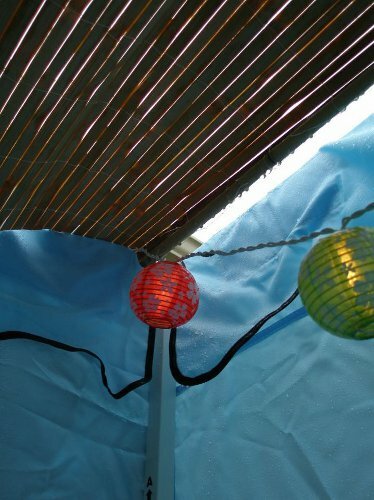 Tonight begins the festival of Sukkot. Chag Sameach Sukkot. 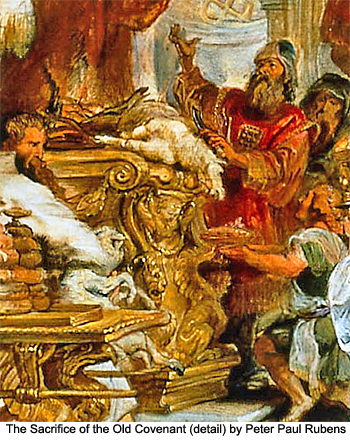 The writer of the book of Hebrews maintains that the animal sacrifices offered in the Temple cannot grant forgiveness for the world to come or the reward of eternal life. If so, why did God command the Israelites to offer sacrifices? What were the sacrifices supposed to accomplish? This sermon marks one year in Beth Immanuel’s study of the epistle to the Hebrews, so it features a brief review of the first eight chapters of the book. Since Lancaster delivered this sermon on the one year anniversary of starting this series on Hebrews, he spent the first fifteen minutes giving a summary of what he’d taught over the course of the past twelve months. I wish I could have taken notes fast enough to capture the review because it would have been a nice “in-a-nutshell” presentation to offer. You’ll just have to click the link I posted above and listen for yourself. According to Lancaster, most Christians take away from the above-quoted verses the idea that the only way to get into the Holy Place, that is, the life in the world to come, is for the Temple (although the NASB translates the Greek as “tabernacle”) to be destroyed. This fits pretty well with traditional Church doctrine about the Temple in Jerusalem needing to be destroyed because the bodies of Christians are now the “Temple,” but Lancaster disagrees. Within the overall context, that interpretation makes no sense. The way he sees it, what the writer of the epistle to the Hebrews is saying is that the Tabernacle or Temple, the outer holy place simply stands as a symbol for the present age, the Old Covenant age, since the New Covenant while inaugurated, has not actually come into our world yet. You’ll have to go over what last week’s sermon said about the symbolism involved in comparing the Holy Place with the Holy of Holies, that is, the present age and the age to come (or read my review to get the gist of Lancaster’s points) in order to make sense of what’s being communicated. The NASB translates the words I emphasized in the above-quoted verse fairly accurately, but the NIV says “are now already here”, and the NLT and ESV (and a number of other translations) say “that have come,” seemingly indicating that when Christ appeared, the better promises of the New Covenant age arrived in their fullness. That’s not what the Greek actually says, and both the NASB and the KJV render that phrase correctly. They haven’t arrived yet. As I’ve said before, interpretation begins at translation, and more than a few Bible translators have read their own theology and doctrine back into the Bible rather than letting the Bible in its original languages speak to them about how that theology is supposed to look. This next part was news to me but it makes a great deal of sense now, especially when compared to what Lancaster has previously taught in this series of lessons. He described the following scriptures as a Kal Vachomer or lighter to heavier argument. In this argument, you say something like, “if you think version 1 was fabulous, version 2 is even better”. The first statement about version 1 (or whatever) must be true in order for the statement about version 2 to be true. …and not through the blood of goats and calves, but through His own blood, He entered the holy place once for all, having obtained eternal redemption. For if the blood of goats and bulls and the ashes of a heifer sprinkling those who have been defiled sanctify for the cleansing of the flesh, how much more will the blood of Christ, who through the eternal Spirit offered Himself without blemish to God, cleanse your conscience from dead works to serve the living God? Christians don’t understand the meaning behind the sacrificial system initiated with the Tabernacle and continued with Solomon’s and Herod’s Temples. We’ve been taught that the Israelites had to make sacrifices for the forgiveness of sins and so they could get into Heaven when they died. Once Jesus came and made a single sacrifice on the cross once and for all, then there was no further need for the animal sacrifices or the Temple, since all we have to do is believe in Jesus for the forgiveness of sins. But what Lancaster said next is no less than revolutionary. The sacrifices in the Tabernacle and the Temple were never designed to take away sins at all. They were designed to provide purification for an Israelite (actually, anyone since even the sacrifices of Gentiles were accepted) so that he or she could physically draw nearer to the specific, Holy precinct where the physical manifestation of the Divine Presence dwelt. 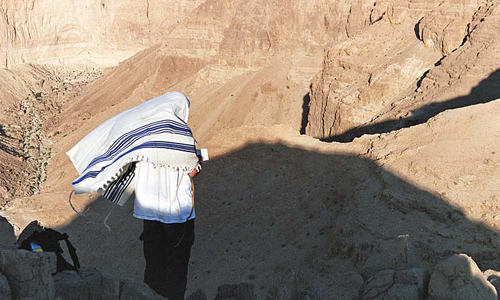 The mikvah, the ashes of the Red Heifer and so on, were to provide the body of a person with ritual purification so that their physical, material self could enter a physical structure considered Holy ground because it contained the manifestation of the Divine Presence of the Almighty. This is an effect of the Sinai (Old) Covenant. Compare and contrast that to the sacrifice of Yeshua (Jesus) who made total atonement for the sins of all humanity by bringing his blood, not to the Holy of Holies in the Earthly Temple, but to the Heavenly Holy of Holies, so our sins really could be permanently forgiven and that our spiritual selves could approach God in a realm outside the physical universe, and we can serve Him. This is an effect of the New Covenant. There will no longer be any curse; and the throne of God and of the Lamb will be in it, and His bond-servants will serve Him. I saw no temple in it, for the Lord God the Almighty and the Lamb are its temple. And the city has no need of the sun or of the moon to shine on it, for the glory of God has illumined it, and its lamp is the Lamb. The nations will walk by its light, and the kings of the earth will bring their glory into it. But none of that will happen while the current Heaven and Earth exist, which they will throughout the present age and the age of the Messiah. You can see the lighter and heavier ends of the argument on either side of the text I emphasized above. If the blood of goats and bulls and ashes of a heifer can purify your bodies to come within proximity of the physical manifestation of the Divine Presence in our material world, how much more will the blood of Messiah purify your eternal Spirit to cleanse you of dead works (that is, sin) so that you can serve the living God. Purifying your body vs. purifying your spirit. The Earthly sacrifices did one and the one Heavenly sacrifice did the other. The blood of Jesus didn’t replace the blood of animals. To believe it did would be like comparing proverbial apples and oranges. So all that was written before is the reason why Jesus is the mediator of the New Covenant, because as you may recall, the New Covenant is all about replacing our stony hearts with hearts of flesh, and giving us a new Spirit, writing the Torah of God on our hearts, permanently atoning for all sins, and allowing us to know God in an unparalleled manner greater than the greatest prophets of old. We committed sins that were defined and identified by the Sinai covenant and that covenant condemns unrepented sin. We will die if our sins are not atoned for because the wages of sin is death. But the New Covenant offers something the Old did not, a way to permanently atone for and be forgiven of all sins, so where the Old Covenant condemns, the New Covenant, which is already beginning to enter our world, sets free. They work together in the present age. We have access to this forgiveness through our faith in the work of the Messiah. This is how we receive the promise of the eternal inheritance.